How to Play : Cast spells, brew concoctions, melt witchesâ€¦ Use a smidgen of math and a pinch of probability. Capture cards by matching or adding cards from your hand, then count the ingredients and measure the powers. A splash of strategy and, the potion is magic! The player with the most points wins. 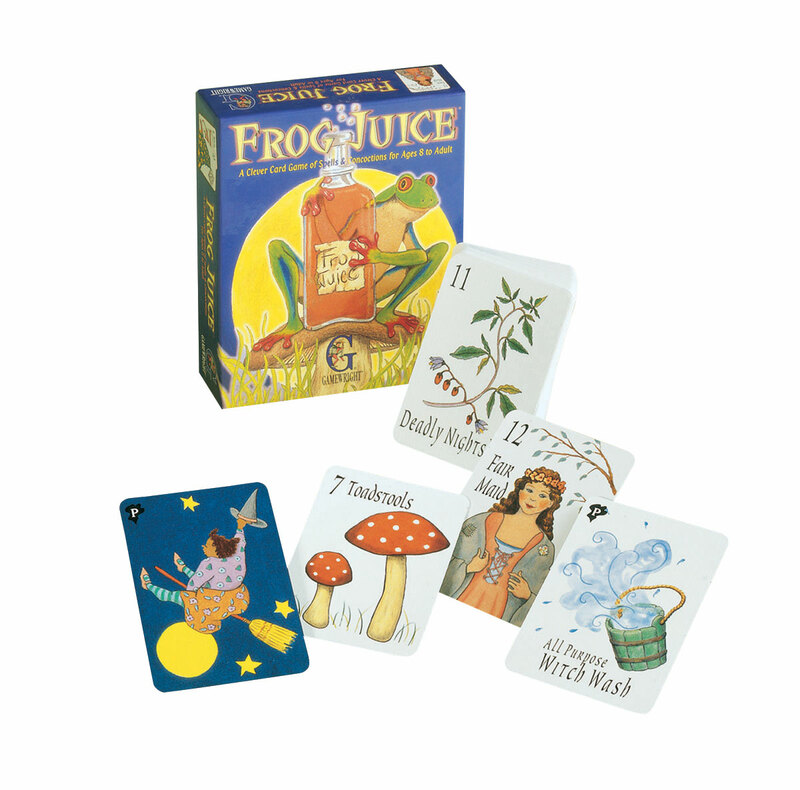 About this game : Frog Juice teaches children to think strategically and play competitively in an active meeting of the minds. It requires quick counting skills and keen timing, as players capture cards by matching or adding cards to equal the value of another card. Advanced players will learn about probability.